Step 1: Analyze your situation. The first step is to understand you situation by assessing your financial situation. Take a look at your credit report to find out how much credit debt you have, so you know exactly how much you have to pay to free yourself of debt. Next, analyze your current financial situation, including your income sources and expenses. Remember to write down any helpful information along the way, so you have a list of things that you should know and keep track of. Before you start looking for ways to raise money for paying your debts, you should try to optimize your current situation. Think of ways to shift your priorities around to help decrease your expenses. This may require a lifestyle change, such as not eating out as much or foregoing the weekend movie. It will definitely help you make wise use of your money in these times of hardship. You should also try to reallocate your income, perhaps put a bigger portion of it into paying off your debts. Step 3; Start raising that money. * Work extra hours or get a part-time job on the side. * Ask for a raise at work. * Move to a better position with a different company. * Sell things from home (garage sale). There are a lot of ways to generate more income, all it takes is a willingness to get out there and try things. You could even start a small home business but, whatever you do, remember not to create any more debt. Credit cards are convenient to use at first, but once you get into the habit of swiping all unaccounted purchase using this plastic, credit card debt can eat up your budget and savings. The best thing to get out of debt is do not buy things on credit. You should actually be responsible in paying your debts once you have one. Learn to control on your spending options and learn to save a portion of your money to pay off your bills. Set aside a significant amount to pay off your debt. 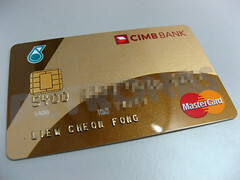 Just in case you haven’t got the cash to pay the full amount, learn to save your cash to pay it one payment at a time. Learn to control using your credit card. Think of it as your emergency life line and NOT buying something that you want.